I’ve been circling the work of Tessa Hadley for some time, attracted by the themes, and yet reluctant to commit as I’ve never been not quite sure of the substance. The description of The Past was something I could no longer resist, and now, after turning the last page, I want to read everything this author has written. The premise of The Past is simple enough–four siblings congregate on the country home of their now deceased grandparents for a three week holiday with the purpose of deciding, finally, whether to sink money into the decaying former rectory, or sell it and split the profit. 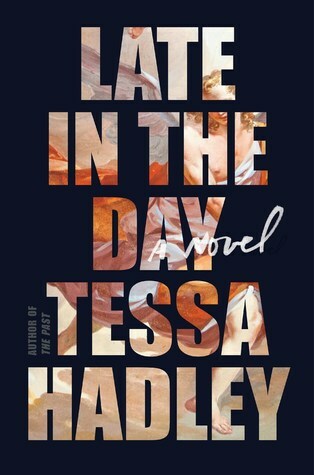 Of course with four siblings–three female and one male, now all firmly in middle age, we can expect some complicated familial politics, and Tessa Hadley delivers the delicate nuances of these relationships exquisitely. Harriet is the eldest sibling. She’s unmarried but has a partner, Christopher who’s always off riding his bicycle somewhere. Serious, plain Harriet has spent her youth devoted to political causes and is currently involved with “advising” asylum seekers. She’s unattractive and feels severely challenged by the idea of femininity. Perfume, makeup, putting together an attractive ensemble of clothes… these things escape her and proximity to her sister Alice’s femininity always leads her to feel secretly inadequate. Next in age is Roland, a university academic and the author of several successful books–he’s on his third wife, Pilar, a glacial, perfectly groomed, intense Argentinian lawyer who, adopted by right wing elite during the Dirty War, rejects left-wing politics as annoying frivolity. Roland and Pilar are accompanied by Roland’s teenage daughter from his first marriage, Molly. The youngest sibling is Fran, a teacher and the distracted mother of two fey children–Ivy and Arthur. Fran’s musician husband is also glaringly absent from the gathering. It’s supposed to be a family holiday with no outsiders–a rule broken by Alice when she drags Kasim along, but then Alice feels justified since Roland is bringing his new third wife, and at this point, to the sisters, Roland’s wives seem temporary phases of his life: “Roland and his seraglio – as Alice called them, though not to his face.” The sisters disliked Roland’s second wife, Valerie, and consider the marriage a disaster. -Roland should think about us when he gets married so often. Fran said. -All over again, we have to learn to live with a new wife. We’d got used to Valerie. -Sort of used to her. -I wasn’t ever used to her, Ivy said. -Her voice was screechy and her head went like a chicken’s when she walked. -Like this, said Arthur, imitating it. Alice said wasn’t it such a relief, now that Valerie was a thing of the past, to be able to come out with the truth at last? When Harriet was twelve or thirteen, she’d had a friend at school whom she’s loved and who had used her, sending her on pointless little errands, finding out where she was vulnerable and prodding there, resorting to her company when there was no one more interesting, dropping occasional kindnesses like crumbs. Harriet had tidied this memory away, believing it belonged safely with childish things; now she remembered her mother’s impatience with this friend’s exploitation, and her own inability to explain what she knew about it -that the abjection was not a downside, but the essential fabric of her love. Alice and Kasim stood peering through the French windows: the interior seemed to be a vision of another world, its stillness pregnant with meaning, like a room seen in a mirror. The rooms were still furnished with her grandparents’ furniture; wallpaper glimmered silvery behind the spindly chairs, upright black-lacquered piano and bureau. Painting were pits of darkness suspended from the picture rail. Alice had told her therapist that she dreamed about this house all the time. Every other house she’d lived in seemed, beside this one, only a stage set for a performance. As the plot unfolds, it becomes clear that the house and the influence of their long deceased grandparents had a pivotal role in the lives of the siblings. Their mother died while they were still quite young, and “their father had gone to pieces – which was forgivable – and run off to France with another woman, leaving his orphaned children behind -which wasn’t” Tessa Hadley creates a unique world centered on the four generations who’ve lived in this splendid old house, and shows us, with admirable insight, the evolution of essential personality traits that both undermine and support these individuals in their lives and their familial relationships. While Fran is not quite as fully developed a character as her siblings, and at times she seems like an addendum to this tale, somehow by the last page, this mirrors the plot of this wonderful tale of family dynamics, sibling politics and unspoken family crisis. New growth sprouted livid green, the tan mulch under the pines in a plantation had darkened to ox blood, unripe blackberreies were fuzzy with grey mould. Beside a path a bank had sheared away ina smear of red mud; skirting around it they saw into the raw root-gape, like flung arms, of a tree upended, its deep hole whiskery with torn roots.